years for the segment to really kick up a gear. Now, you can look around and see cities whirring with e-bikes, e-scooters, e-cars, hover-boards and new flicks rolling in on a monthly basis. So where does that lead the surf industry? For anyone who has ever inflated a 10.6-inch SUP with an air pump, the answer comes easy. For us at SipaBoards, electricity is as generic as blood flowing through our veins when we set out on the water. What made us break the rules? Those who love to surf are in love in nature. So why, would we take something as natural as paddling on a surf and put an engine in it? It is a good question, we’ll admit. There is however more than one adequate answer to it – the first one coming from a personal experience that gave birth to SipaBoards. Years ago, when SipaBoards founder and owner Sebastjan was watching his wife and kids paddling out the coast on a sunny island, he saw the strain and effort that was taking them to battle the current while getting back to the shore. They got back just fine, but there was less fun and excitement in it that there should be. So, after a few rounds of how’s and why’s, the first prototype was afloat. But stopping there would be the same as if Karl Benz stopped with his first model in 1885. So the engine was put to use as an air compressor which inflated the SUP in minutes. Then a LED light option followed as an add on and soon after the Drive System was followed by the Air System SUP collection. Where will it take us? 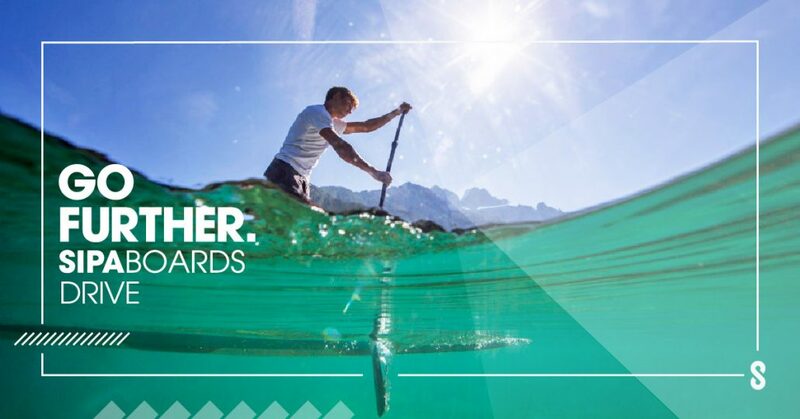 SipaBoards Systems are concept shaping a new branch in the surf industry and as the leader in the division we will go on paddling even further. The boards we produce are lighter and more durable with each new collection and our engineers keep on optimizing our batteries and propulsion systems to give even more juice to each stroke you make.